Hudson & Kemp was founded on Chase Side, Enfield in 1991. Alex and her wonderful team are passionate about what they do, and have a wealth of experience in cutting, blowdrying, styling, colouring, foil high/lowlights, ombre/balayage, perming and getting you ready for a special occasion. 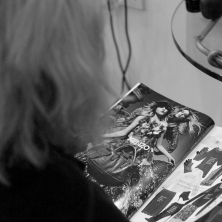 With four state-registered stylists and our wonderful assistants Zoe and Emma, who support us in the running of the salon, you’re almost guaranteed to find the right stylist to suit you and your hair. Alex is H&K owner, a State Registered Senior Stylist, Trainer, Assessor and Master Craftsman. Loves cutting and colouring, especially colour correction. Tracey is Manageress, State Registered Senior Stylist, Trainer and Master Craftsman, she trained at H&K and has worked here since 1992. Loves cutting and styling your hair and knows the importance of a good consultation. Natalie is a State Registered Senior Stylist, she trained at H&K and has worked here since 1999. Loves creative colouring, particularly Ombre/Balayage. Rebecca is a State Registered Graduate Stylist, she trained at H&K and has worked here since 2011. Rebecca enjoys all aspects of hairdressing, especially colouring. Here are some testimonials from our existing clients. We would love to hear your comments, if you would like to send us a testimonial please email us. Just visited for the first time and I am extremely impressed! Colour and cut by Tracey was brilliant, but more importantly I felt totally at ease. Think I have found myself a regular hairdressers now. I love this salon! The staff always make you feel welcome. I've had several different hairdressers from the salon do my hair and it always looks great when I leave. I even buy my hair products from here too. What a friendly hairdressers. The best highlights I have ever had, and Rebecca is such a sweet polite young lady. I will definitely be going back. Hudson & Kemp is a ‘My New Hair’ salon. My New Hair is a charity, founded and inspired by Trevor Sorbie MBE, which provides advice and support for people suffering from cancer and medical hair loss. A few people have an allergy to one of the ingredients found in all hair colours, PPD (paraphenylenediamine). 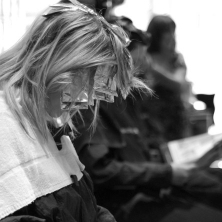 It is VERY rare but it can be serious so it is essential that you have a simple test that takes 5 minutes to do in the salon and must be carried out 48 hours before your colour. Please try to give 24 hours notice if you are unable to make it to your appointment. This will let us offer that space to someone else. 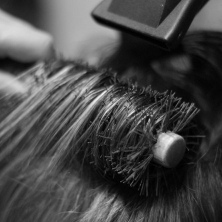 We understand that life gets in the way of things such as hair appointments, and sometimes it is impossible to give 24 hours notice but repeat offenders may be charged. 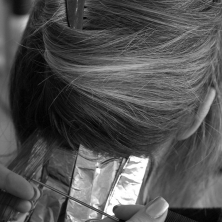 Trade Associations – We are members of The Hairdressing Council & National Hairdressers’ Federation. Our Charity – As a salon we support national charity ‘Breast Cancer Now’ and local charity ‘Nightingale Cancer Support Enfield’. Free Wi-fi – All you need to do is tell us you would like to use the internet on your phone/laptop/tablet and we will give you the password and you are good to go! We are also part of Enfield Council’s ‘Breastfeeding Friendly Business’ Scheme. Helps us monitor site usage and performance.